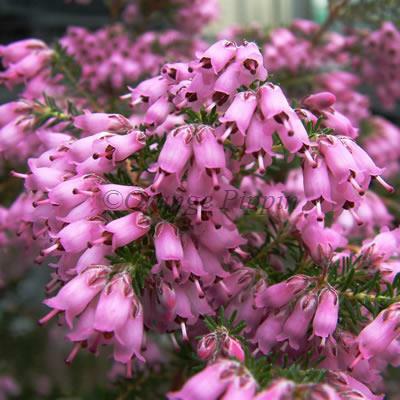 Erica australis 'Riverslea' is a small, slow growing evergreen shrub, of an upright, pyramidal growing habit with feathery, dark green foliage and is a member of the Tree Heath family. This wonderful evergreen covers itself in clusters of small, pink flowers during early Spring. Reaching a height of 1.8m x 1m after 10 years, so ideal to be grown in a container if desired or planted in the border.